choice. The space is often limited around or under the machine, and the reels are often placed inside the machine, where the manoeuverability is limited. transports the reel to the machine. 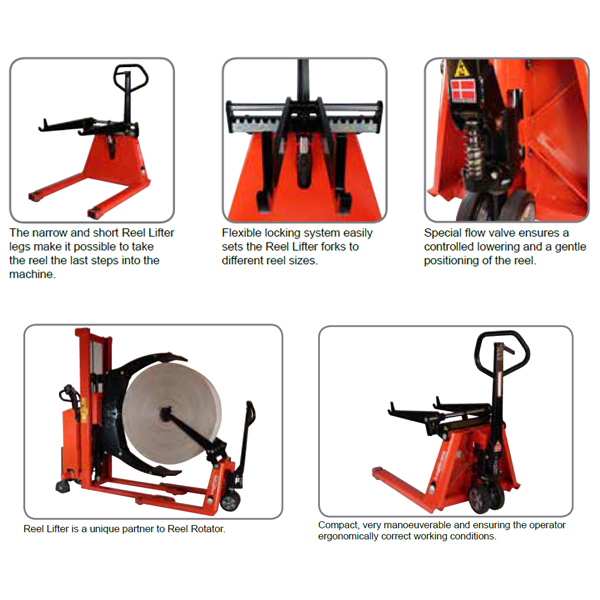 production machine, is also used during the transport on the Reel Lifter. Thus, the reel can easily be positioned in the correct place in the machine. positioning of the reel. Strong construction and low maintenance costs.